Depending on what Trade Show Booth you choose, one or more of these cases will be used. Read the "what is included" on the product page when ordering. 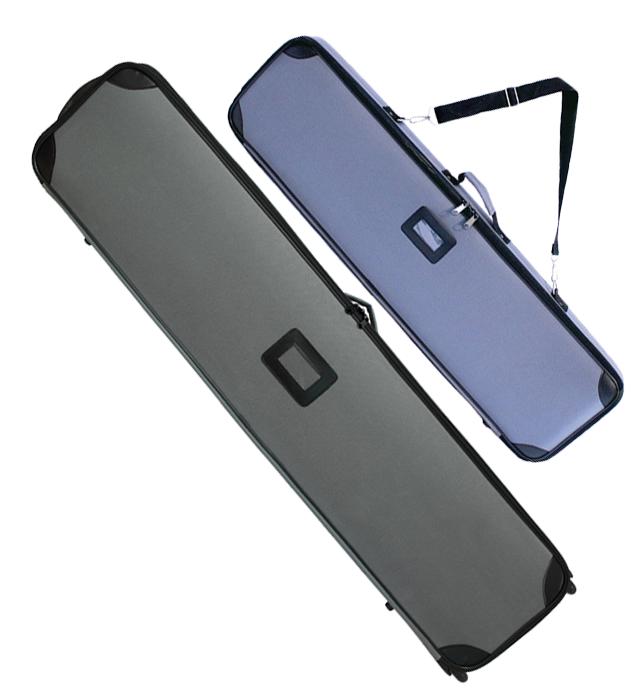 TADD Carry Cases 36" and 48"
Equipped with a shoulder carry strap, this 38" and 48" Travel Bag can be used for most TADD Table Top Displays. 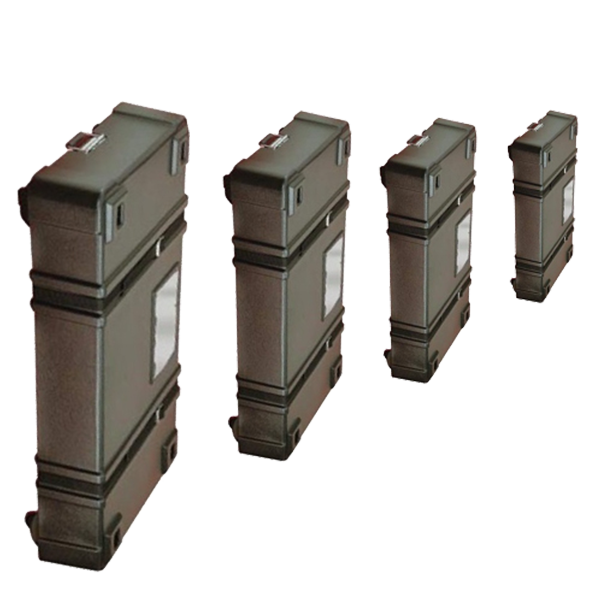 These carry cases are for most TADD Table Top Displays that do not hold a Flat Screen Monitor. Please contact sales for any questions you may have. 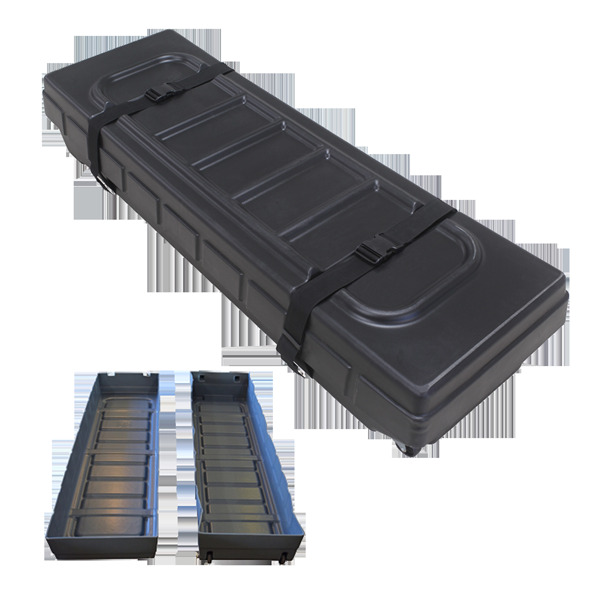 Molded plastic hard carry case with inset wheels for easy mobility. This case is used for some small TADD Booths that do not have a Flat Screen Monitor. 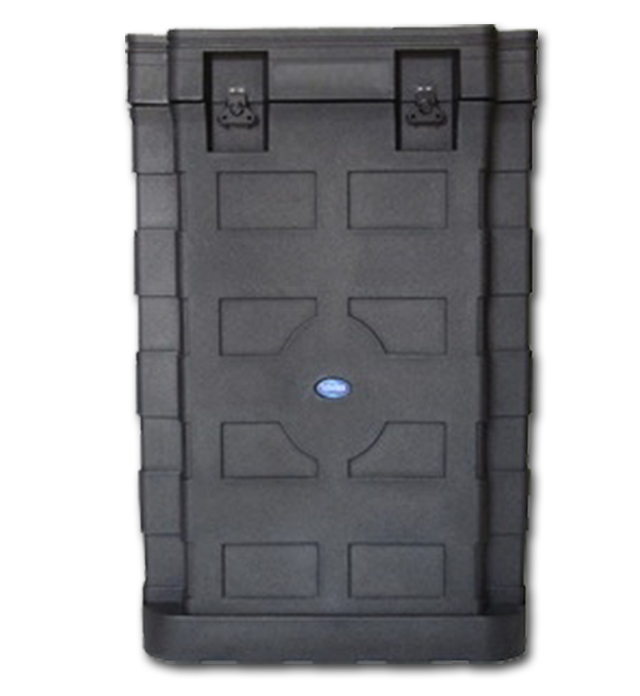 This Roto molded case is the same great design that houses the TADD T-pod. This case is designed to ship your Flat Screen. It is constructed of durable roto molded plastic, it has 2 wheels for easy maneuvering, has 4 Snap turn Latches, Case top has built-in handle and 2 Decorative handles for Portability. 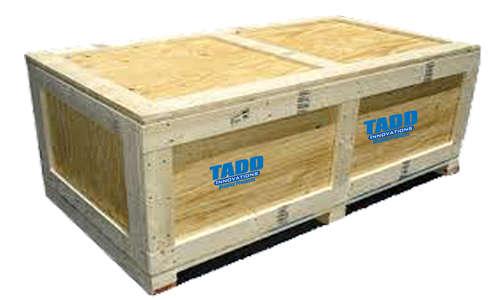 The TADD roto molded case can store most 10' booths, on some 10' booths you may need more than one case. On all booth packages the cases are included. This case is tough, durable and designed to fit most Flat screens up 40". These durable hard cases have wheeled bottoms, this makes it easy to transport your display to and from presentations, trade shows and meetings. These cases are not made to ship Flat Screen Monitors. 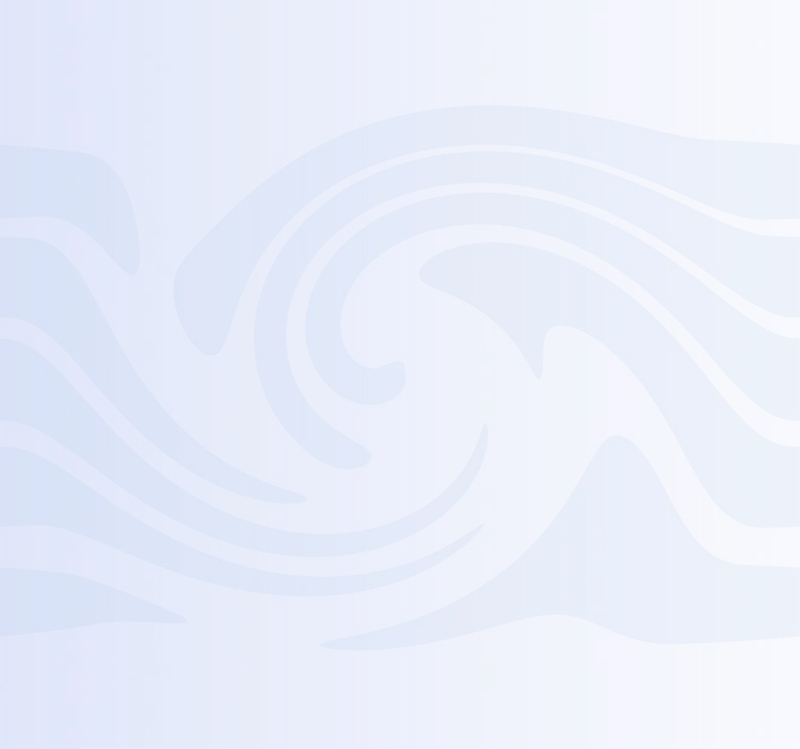 Case sizes depend on which Trade Show Booth package you choose. Medium Hard Case accessories: Stretch Fabric Wrap, PVC Wrap. 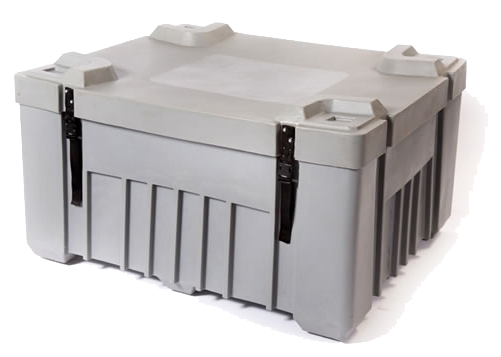 A two-piece box, place the lid over the bottom; luggage straps with clip buckle ends, secured in harness slots, wrap around case and lock. These carry cases are for most TADD Trade show displays with panels at 48" or over and do not hold a Flat Screen Monitor. When you need to stay within a budget and will only be using you trade show booth once or twice a year, or you have your own shipping cases, this is a great compromise. You get durable shipping to your trade show location and these boxes can be reused over and over again. This is an economical saving if you fit the parameters. Contact one of our knowledgeable sales staff for guidance. 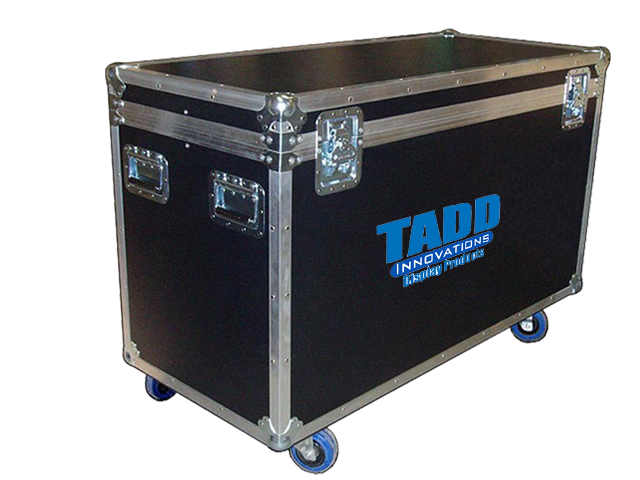 This Roadie trunk with wheels is constructed of heavy duty 1/2 " plywood with a thick plastic ABS laminate on the outside and a foam lining inside to help protect your TADD Display when transported. The case is surrounded with a heavy gauge aluminum extrusion and is machine split riveted together. Closure latches are recessed for protection against shearing off and the handles are spring loaded for easy lifting. The approximate unit dimensions of our shipping cases are: 50" x 25" x 40" high. 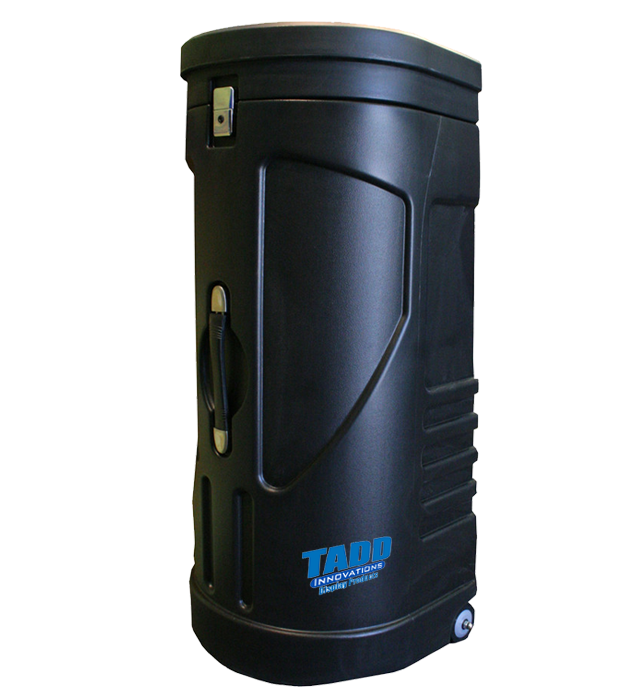 This case can be used in place of 2 to 4 roto molded TADD cases. It is designed to fit your entire 10' to 20' booth including your flat screen monitor. 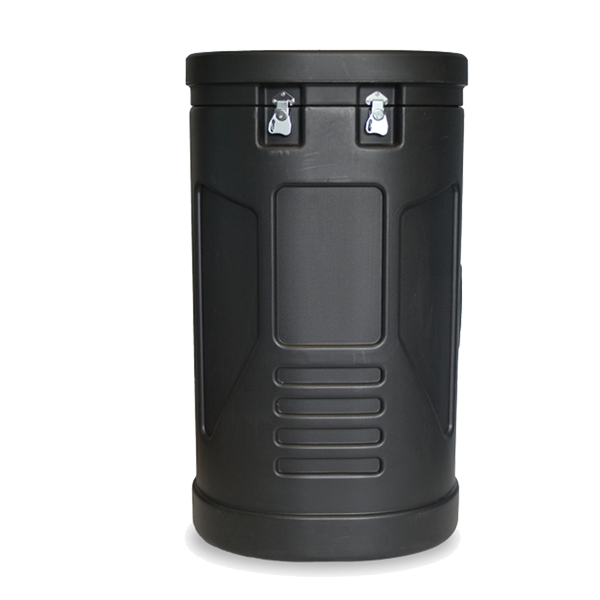 It is constructed of durable roto molded plastic, it has has 8 strap latches. 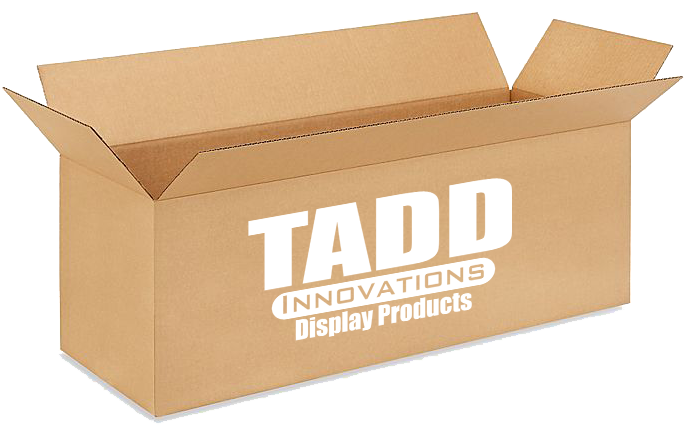 The TADD roto molded case can store most 20' booths, you may need more than one case on all Larger booth packages.